Standing back sometimes has its advantages . . . you can see the big picture, take it all in, work out a plan of action. But what you gain in your wide vantage point may make you lose sight of a more unique perspective. Take a waterfall, for example, like the one above. Sure, it’s pretty. But a photograph of it from afar is pretty predictable. And it’s not like you can change anything about the view. Or can you? Yes. What you can change is your perspective. You could look down on the water splashing over the dam, instead of directly at the waterfall. 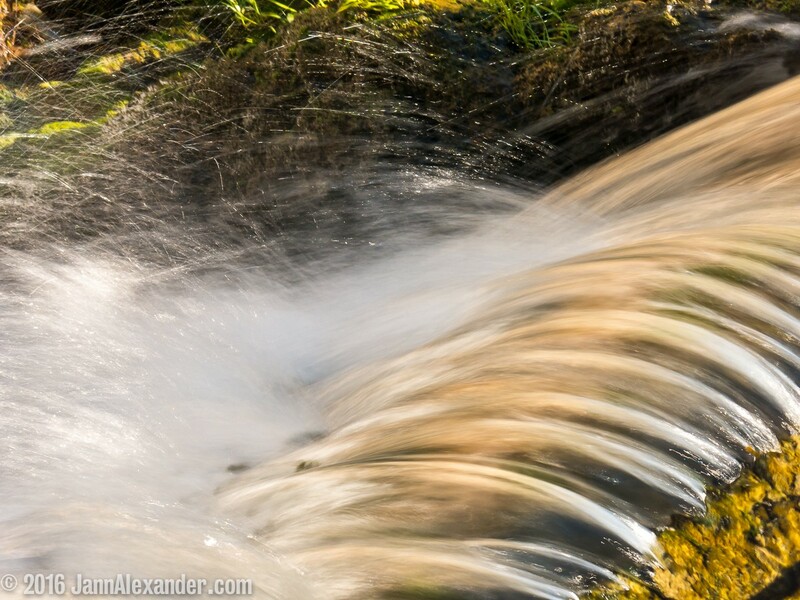 When you stand atop a waterfall, focus tight and shoot down, the new perspective will surprise you. Pleasantly. And that wisdom applies equally well to your photographs and your life. When I’m not making photos, I’m writing. I’d love to get your perspective on my new novel—Read an excerpt from A Habit Of Hiding HERE. Or you might take a look at more of my phototips HERE. This post was originally published at my blog, Pairings :: austindetails.me on April 6, 2016. Let’s connect on Twitter, where I like to share.